History was made this weekend as the world’s first ever fully-electric single-seater race took place in Beijing, marking the successful season opener of the FIA Formula E Championship. 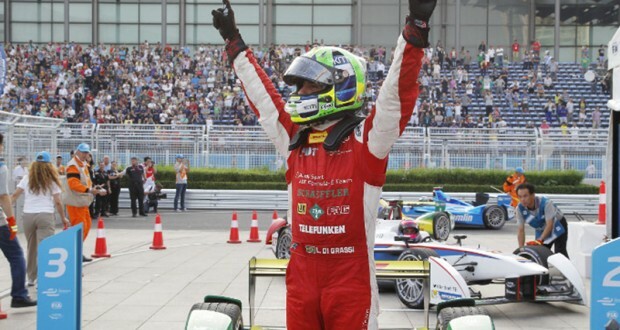 The race, Beijing Evergrande Spring ePrix, was held on a spectacular temporary race track built around the city’s iconic Olympic ‘Bird’s Nest’ Stadium and was won by Audi Sport ABT’s Lucas di Grassi. Brazilian Di Grassi stole victory after race-leader Nicolas Prost (e.dams-Renault) and Venturi’s Nick Heidfeld touched on the final corner of the final lap in the battle for the lead, sending Heidfeld into a spectacular crash which he walked away from unharmed. Andretti driver Franck Montagny finished runner-up nearly three seconds adrift of Di Grassi with team-mate Daniel Abt crossing the line third, only to later have it taken away from him after failing short of the required 28kw power consumption usage. 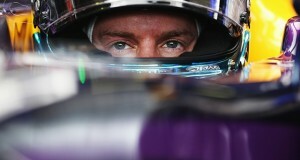 Virgin Racing’s Sam Bird was promoted to claim the final place on the podium. Formula E is the FIA’s new fully-electric single-seater championship designed to appeal to a new generation of motorsport fans. Competing entirely on city-centre circuits all over the world, it uses cars capable of speeds in excess of 150mph (225kph). Its 10 teams feature some of the leading international names in motorsport including Alain Prost and Michael Andretti, along with high-profile environmental supporters including Sir Richard Branson. Meanwhile, it’s driver-line up boasts an array of former Formula One stars such as Jarno Trulli, Jaime Alguersuari, Sebastien Buemi, Lucas di Grassi and Bruno Senna – nephew of the great Aryton. Organisers hope the new series will help increase the interest in electric vehicles and promote sustainability, as well as accelerate the technology available which, over time, will filter into the road-going electric vehicle market.